Add your property, which is, in this case, your website’s URL. Make sure you add it correctly: does your URL include the www. subdomain or not? Technically, http://www.examplesite.com and http://examplesite.com are different URLs. 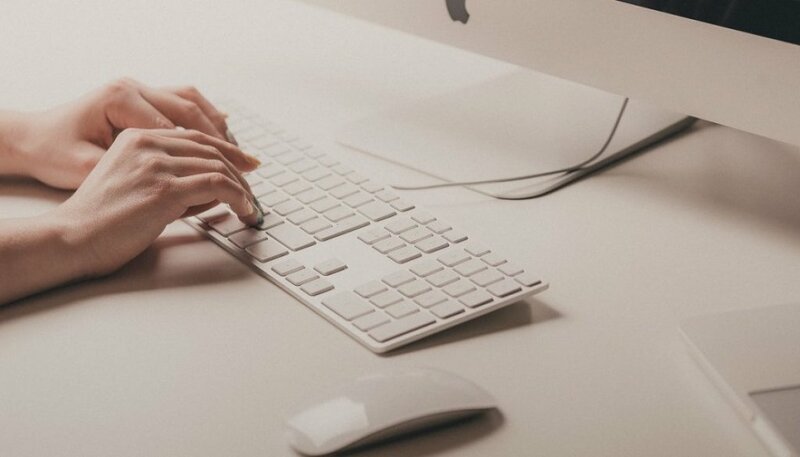 If in doubt, simply copy-paste your website’s URL straight from your Internet browser. 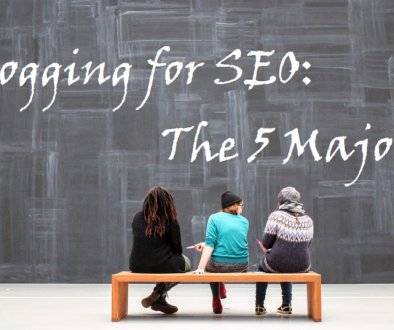 We recommend utilising the Yoast SEO plugin. First, select the Alternate methods verification option. Check the HTML tag option and copy the meta-tag code automatically generated. Paste the meta-tag code you copied from your Google Console into the empty field marked Google Search Console and press Save Changes. (You can paste the entire string “<meta name=…”. The plugin will scrape out the necessary meta values (i.e. your unique long string of letters and numbers) and delete what’s superfluous. Third, return to your Google Search Console and press Verify. You’re done! Registered and verified! 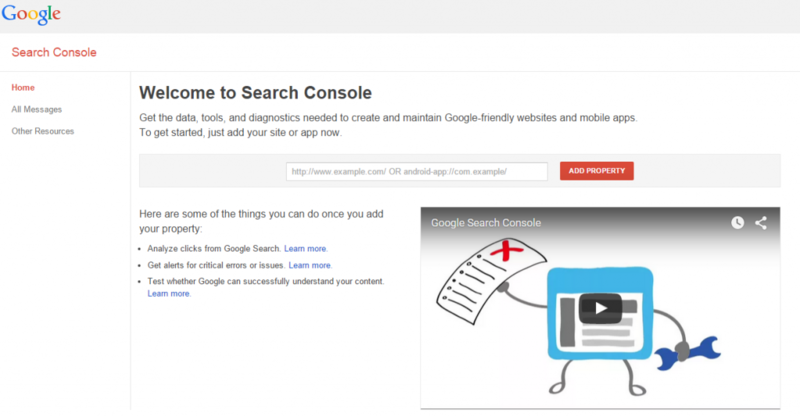 You’ll now have to wait 3-4 days for Google to crawl your site and feed data to your Console. If necessary, Google will send you notifications and you’ll see them appear here. Besides the opening “welcome” message, no news is usually good news. Typically, Google will only message you if there’s a problem. In other words, don’t expect a birthday card. This informs you of two main things: (1) Are there any crawl errors that have occurred recently? (2) Are there any errors in your XML Sitemap? Once you know how, you can respond to any errors immediately. See 2.4 below. Let’s point out a few basic functions in the sidebar of your Console’s expanded Dashboard. A must-use feature here is HTML Improvements, informing you of improvements you can make to your site in terms of (missing, duplicate, too short/long) title tags, (missing, duplicate, too short/long) meta descriptions, and non-indexable content. Site Links refer to the auto-generated links that appear under your website when it displays in an exact-match search query. Unfortunately, you cannot determine what Site Links you want (Google reserves the luxury), but you can remove Site Links you don’t want appearing. Search Analytics inform you of what search phrases visitors are using to find your site. (Ideally, they should reflect the keywords you’ve built your site around. If not, you will need to give thought to the reasons for the disparity.) This feature also always you to analyse how your site performs for these phrases in terms of Clicks, Impressions. CTR and Position. 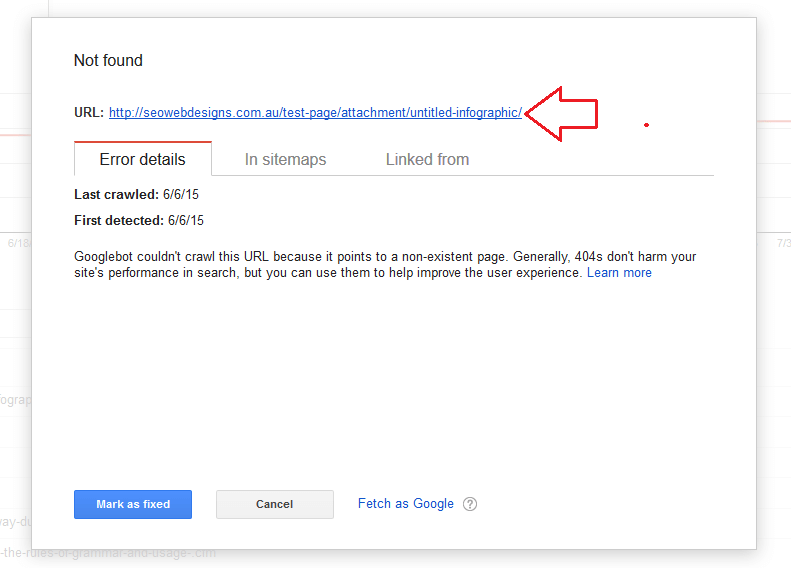 Internal Links inform you of how Google views your internal linking structure. This should reflect the structure of your site and the priority of your main pages. Content Keywords inform you of what words Google finds emphasised on your website. Again, if there’s a disparity between what you think your keywords are and what Google gleams from your site, a serious rethink is in order. 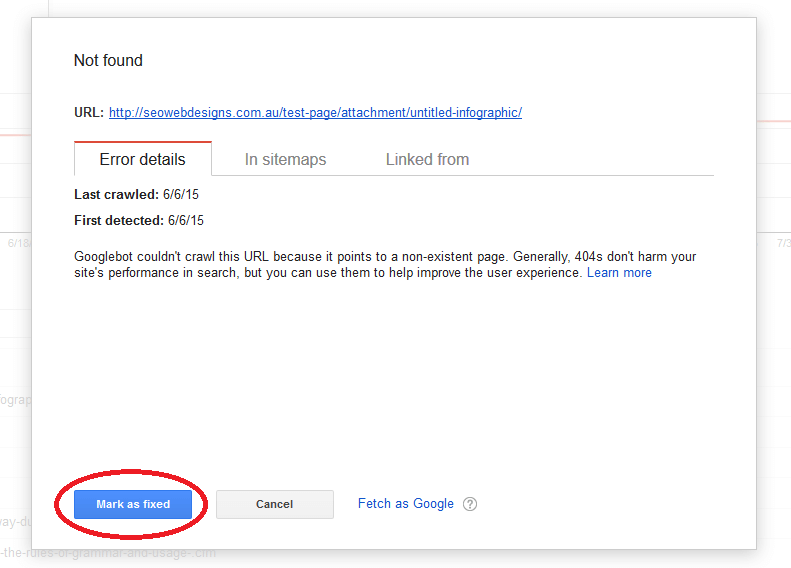 Crawl Errors inform you of what errors Google is finding in the crawling of your site. We discuss the typical nature of these errors and how to fix them below. Sitemaps allows you to submit an XML Sitemap and, once processed, notifies you of any related problems. We define and discuss XML Sitemaps and show you how to submit them below. 1. Not Found errors—URLs that are pointing to non-existent pages; that is, the URL correctly yields the 404-error (Page Not Found). That the URL yields a 404 Error is a good thing. This is after all the purpose of a 404-error page. However, this crawl-error information gives you the opportunity to point the URL to a better URL, one that gives the visitor a better user-experience. Click on the URL you want to correct. This popup page will appear. Click on the link again, which will take you to your site’s 404-error page. Again, only paste the URL tail you want (with the forward slash). Finally, press Add Redirection when you’re ready. You can click on the link again to check that your 301 redirect now works. Then click Mark as fixed. See the full documentation on using the Redirection plugin here. Make sure you have a good 404-error page, one that provides guidance for visitors who experience the frustration of not finding the URL they were expecting. One way to do this is to install the 404page plugin which allows you to create a customised 404-error page. Think of including an apology (“Oops! Sorry about that…”), a search-query field, and a link to your HTML Sitemap (list of all your pages and posts) and your contact page. 2. Soft 404 errors—URLs that are non-existent but fail to yield the 404 Error: Page Not Found. Soft 404 errors are the worse error of the two in that the URL does not yield the correct 404-error page. Fortunately, the fix is exactly the same as above, except you need to change the action you want to perform in the Redirection plugin. Then, add the offending Source URL, your chosen Target URL and press Add Redirection. In Google’s next crawl, this corrected Soft 404 error is likely to appear as a Not Found error, which you can then correct accordingly. Nah! Once you’ve done this a couple of times, you’ll get the hang of it. 1. An HTML Sitemap is a page on a website that lists all the site’s pages and posts with links to their URLs. It serves as a navigational outline of all the website has to offer, aiding the visitor in perusing the site’s content. 2. Think of an XML Sitemap as an x-ray of your website’s structure. It is used to inform Google of your site’s framework and the priority of your main pages. 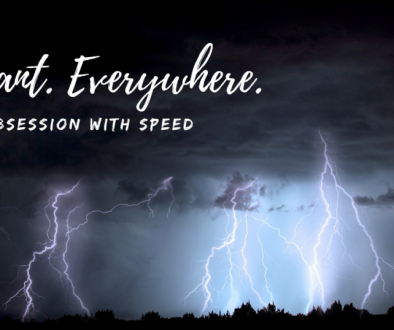 Google will make its own judgment of this after crawling your website, but submitting an XML Sitemap ensures that Google makes its judgment based on what you want crawled. If you’ve purchased the Classic, Premier or Turbo package, we’ve already submitted your XML Sitemap; however, we strongly advise perusing this section as you’ll need to resubmit it from time to time. 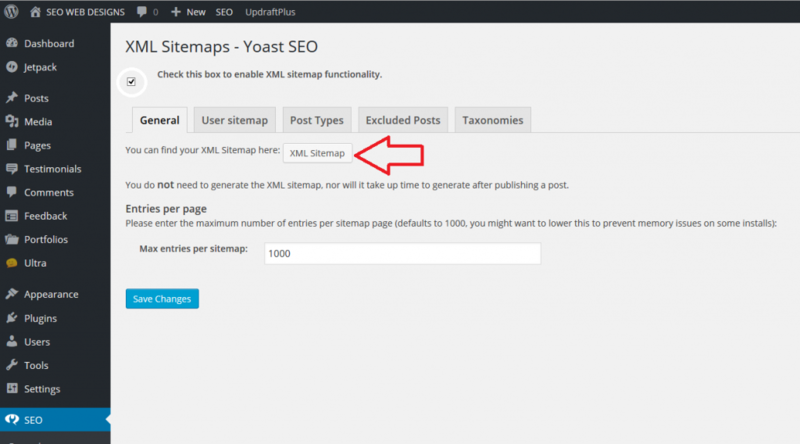 To submit an XML Sitemap using the Yoast SEO plugin … go to your WordPress Dashboard > SEO > XML Sitemaps > General. Check the box to enable XML Sitemap functionality and Save Changes. Then open the Post Types and Taxonomies tabs and check (tick) what you DO NOT want appearing on your sitemap. The User Sitemap tab is typically disabled unless you have multiple contributors to your website and you want them featured in the XML Sitemap. The Excluded Posts tab shows a summary of the pages or posts that you’ve labelled “noindex” (in the Yoast SEO on-page “Advanced” tab). Copy the tail sitemap_index.xml (this time, excluding the forward slash) and head back to your Google Search Console. Disable the XML Sitemap (i.e. Uncheck the box to disable the functionality) and Save Changes. Then check the box to re-enable it, and Save Changes. Click to view your XML Sitemap and confirm that it’s working. 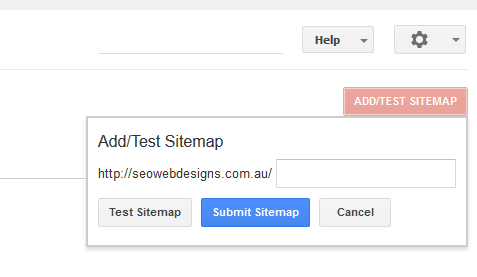 When presented with the Sitemaps page, click on ADD/TEST SITEMAP. Paste your XML Sitemap URL tail (i.e. sitemap_index.xml) into the field and press Submit Sitemap. You’re done! 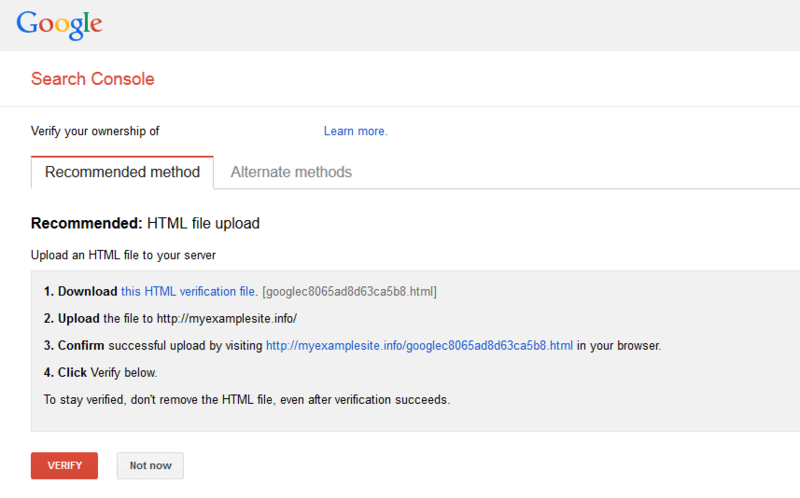 You’ll now need to wait 2-3 days (usually quicker) while Google crawls your site with the XML Sitemap in mind. • Google won’t crawl every URL every time. Expect to have around 75% of your URLs crawled and 50% of your image URLs crawled. Rest in the knowledge that the Yoast SEO XML Sitemap has prioritised your main pages and posts. • Down the road, errors will inevitably occur in Google’s usage of the XML Sitemap and you’ll be notified of this by an error message in the Sitemaps section of your Console. The best way to correct such errors is to return to your WordPress Dashboard > SEO > XML Sitemaps > General, and then disable and re-enable your XML Sitemap (as explained above). Confirm that it is working and return to your Google Search Console. Then, click on the error link. You’ll need to wait until the next Google crawl to see whether the errors were flushed out. Rinse and repeat until the error message no longer appears. • You’ve probably worked out by now that submitting an XML Sitemap is not a once-off event, but something to manage on a regular basis. We’d recommend that you set aside a weekly portion of time for website maintenance (updating plugins, optimising your database, etc.) at which point you should also peruse your Google Search Console for HTML Improvements, 404 Errors and XML Sitemap Errors. The Google Search Console offers other functionality for advanced users. You can of course view the help/support Google offers. 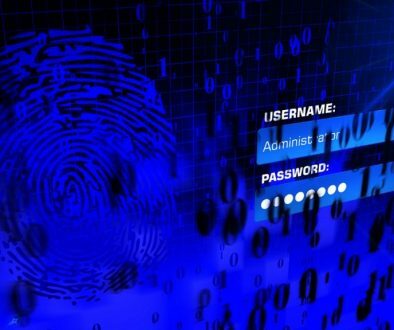 However, the basic understanding provided in this tutorial should be sufficient for most webmasters. We hope you’ve found it helpful. If you’re looking for a website see our packages and pricing comparison. Or view our targeted SEO services or return to the site’s home page to see all we offer.